In coordination with the 100 Gates Project and the Staten Island Probation Office, I was able to paint this mural spanning seven roll gates. Depending on the day of the week, the time of day, and the direction you look at the building from; the message changes. 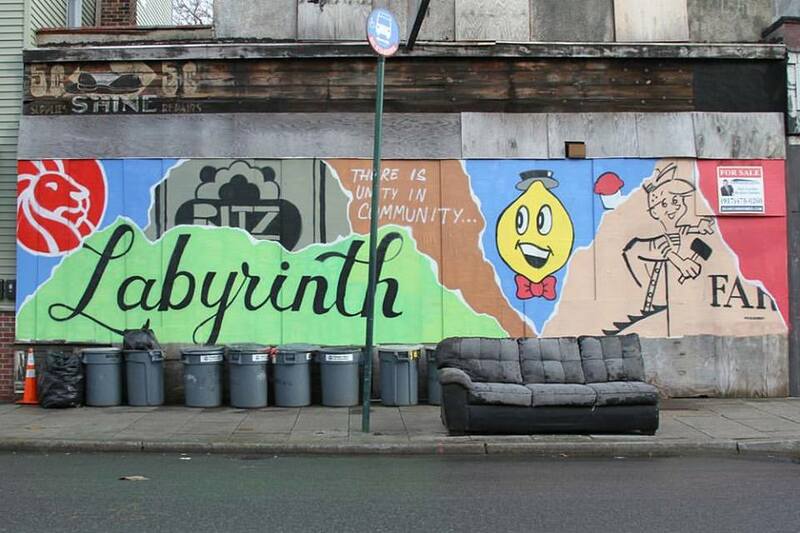 Labyrinth Arts Collective commissioned me to create this mural on a vacant storefront in the Port Richmond neighborhood of Staten Island, NY. The mural consists of logos from iconic Port Richmond businesses past and present as well as the word Labyrinth recognizing the accomplishments of the group's artists.